By the ol’ Watch on the wrist, The Macalope sees that it is once again angry-at-Apple o’clock. Which is to say that it is any one of the 24 hours of the day. Is it because Business Insider pays by the outrage? I’ve grown up with Apple computers my entire life, starting with a model released the year I was born (1986). The Macalope has seen a lot of over-the-top claims to have been Apple’s “former biggest fan ever” but so far no one has said they were Mac users right out of the womb. For most of my life, I’ve been more than just an Apple fanboy — I’ve been an Apple disciple. Maybe that’s part of the problem. The Macalope has a head shaped like a Classic Mac and even he wouldn’t describe himself as a “disciple”. And now I’m swinging entirely the other way. Please take me seriously. So when I say I’m leaving Apple computers behind, it feels a little like leaving the church. I make lot of my decisions based on emotional attachments! Anyway, here are my very serious reasons for leaving Apple now. Ugh, didn’t we just do that? This is like those recipe blogs that go on and on about some childhood story before giving you their precious secret to buttered spaghetti. 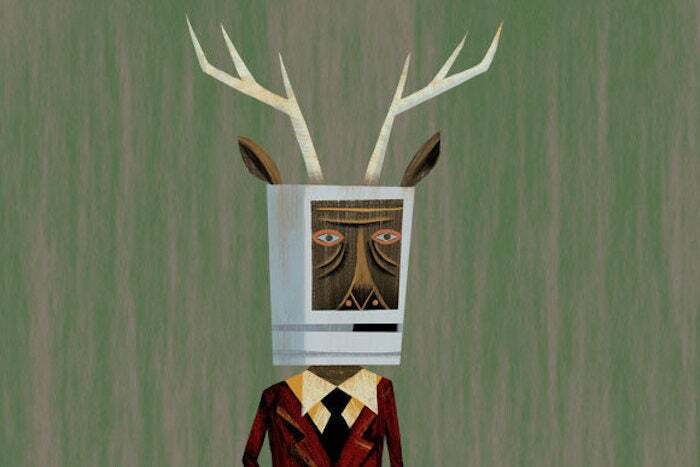 One of these days, The Macalope is going to bind up all these weird “I’m breaking up with Apple!” pieces in a collection. Then he’s going to throw them in the sea because they’re all weird as heck. Cutting to the chase, Curley’s complaint is that it’s getting harder to repair Macs. Which is true over the last 10 years or so, but there are some reasons why this seems like a weird hill to die on right now. For example, the Mac mini arguably got more repairable with the latest update, not less, a fact that is strangely missing from Curley’s manifesto. Second, his largest complaint, the T2 chips, brings a lot of benefits. …a processor that handles security features, including what kind of replacement parts are allowed in the machine. That’s it. Yes, it sure is easy to make grandiose stands on principle when you fly past technical details in order to scratch your itchy complaint about the company’s dastardly plan to restrict repairability but the “security features” are the whole point of the T2 chip. The T2 brings the same secure enclave in iPhones to the Mac for storing biometric data, but also enables other features, like securing the boot process and disconnecting the microphone while the lid is closed. Reasonable people can decide whether or not those features are worth reducing the repair options. Well, not if they read Business Insider because they won’t find a description of them there as that would get in the way of the righteous indignation. Uh, well, not the 2018 Surface Pro 4. iFixit gives it a repairability score of 1/10 compared to the 2018 MacBook’s score of 3/10. That’s probably Apple’s fault, too, somehow.